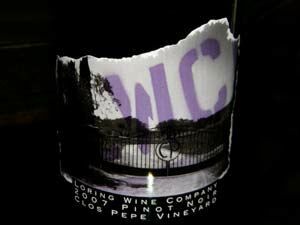 I first wrote about self-admitted “pinot freak” and owner of Loring Wine Company, Brain Loring, in 2002 when his wines were receiving considerable press and interest. While in college, he worked at a wine store in Southern California where one of the owners was a Burgundy fanatic. Brian’s first experiences with Burgundy were from producers he quickly admired like Domaine Dujac, Henri Jayer and Domaine Romanee-Conti (who wouldn’t?). Early safaris into the domestic Pinot Noir jungle of the 1980s were unsatisfying until he tried some wines from Calera. 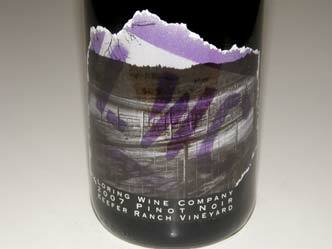 Eventually, he came to understand and enjoy other California Pinot Noirs like Williams Selyem, Chalone and Sanford. 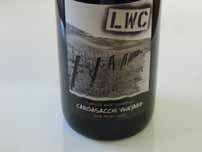 It was the friendship he developed with winemaker Norm Beko of Cottonwood Canyon Winery that got him started in the wine business. 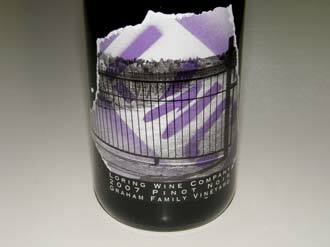 While participating in the 1997 crush, he made two barrels of his own Pinot Noir and the Loring Wine Company was hatched. 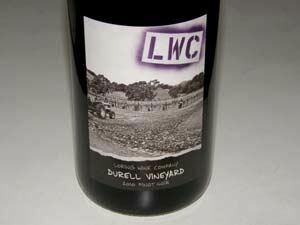 He would say, "After asking Norm 10,000 questions about winemaking and working the crush, I was total hooked." 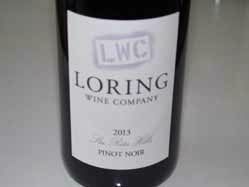 The name he chose for his own winery, Loring Wine Company, was a homage to Josh Jensen and the Calera Wine Company. Brian was to be one of the early boutique California Pinot Noir producers to enter the field cold so to speak (he was a software engineer). Unimpressed by his own good fortune and success, he has shared his enthusiasm and knowledge freely and inspired a number of other pinot freaks such as Greg Piatigorski (Alcina Cellars), Jamie Kutch (Kutch Wines), and Andrew Vingiello (A.P. Vin). His success has been predicated in part on his insistence of acquiring first-rate Pinot Noir grapes from prestigious vineyards. 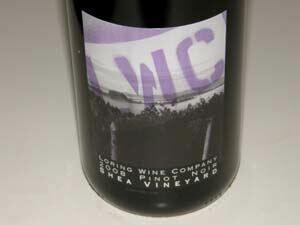 Anyone in the business can tell you that you can’t make great Pinot Noir from inferior grapes (although many try). 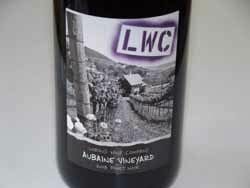 He never professed to be an experienced winegrower, so he allowed vineyard owners to farm his blocks as they farmed the ones they used for their own label. 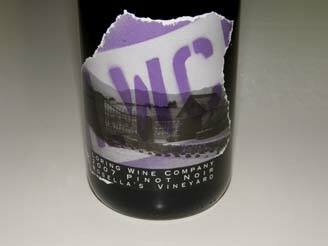 He began humbly, with 150 cases of Pinot Noir in 1999, increased this to 950 cases by 2002, and had made 6,000 cases in 2006. 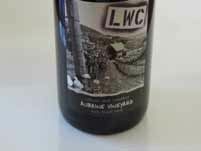 This plateau will allow him to devote his energies full-time to make wine for Loring Wine Company as well as consulting on other projects. 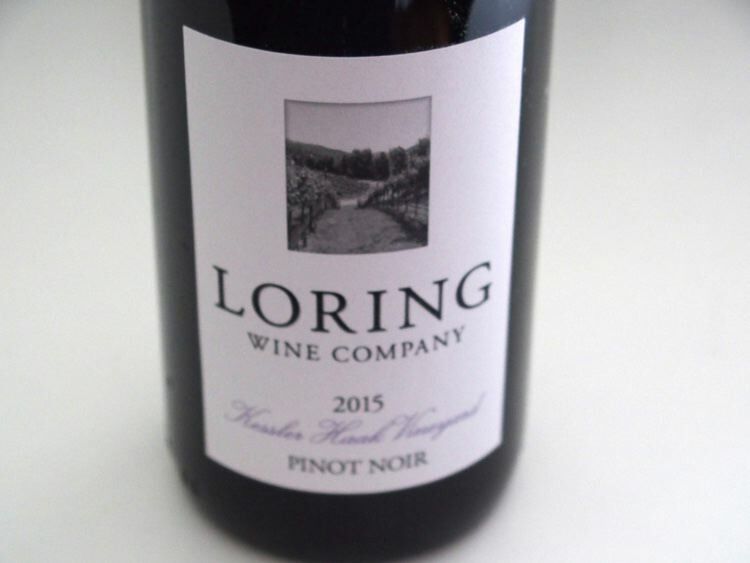 An investment group who were fans of Loring’s wines started Pali Wine Company and built a large winemaking facility in Lompoc. 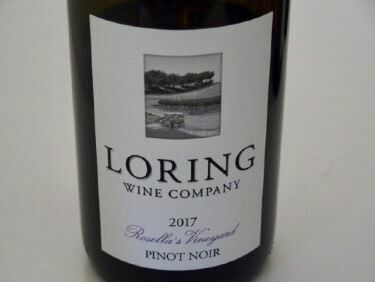 Brian initially crafted the Pinot Noirs for Pali in exchange for the use of the new winery for producing his own Loring Wine Company Pinot Noirs, but has since split off into his own Lompoc winery. 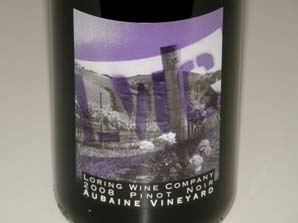 The Brian Loring style is representative of the New World or “Caliesque” Pinot Noirs in that the wines are dark-hued, bursting with showy and sappy fruit, full-bodied in structure, possessing a toasted oak character from the use of plentiful medium toast new French oak, and in some cases, firm tannins, and normally significant alcohol levels. 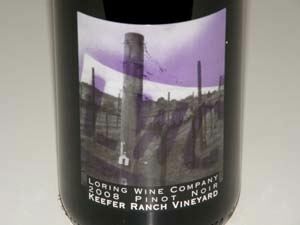 In recent vintages (since 2007), Loring is picking at lower sugar levels to moderate the alcohol and although the style is still intense, the wines have better acidity and balance. 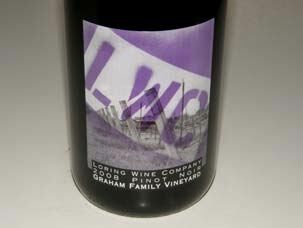 In 2009, Loring branched out into Chardonnays and a red wine called Divergence. 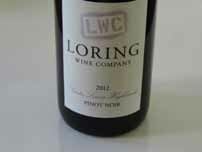 Loring Wine Company wines are sold primarily through a mailing list The Loring Wine Company tasting room is on Industrial Hwy in Buellton, in the same parking lot as Industrial Eats and Alma Rosa’s Tasting Room. Tasting is available Thursday from Monday. Winery visits are by appointment only and can be arranged through the website.